In Belgium, the season of the Jupiler League is already in the decisive phase. Now that’s not different in other countries, but the regular season is already over and six teams have been in the playoffs for the Belgian championship since last weekend. The points from the first 30 season games were halved and taken into the championship round. 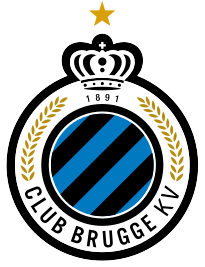 It looks as if both big clubs once again struck a chuff, because the defending champion from Bruges and especially the record champions from Anderlecht already have a not to be despised backlog to front runner KRC Genk. Anderlecht are now expecting Bruges on Thursday. The main thing is not to completely lose the connection to the championship leader, if this train has not already left. Anderlecht is currently fourth. On Genk are already missing nine points. There are still nine games left to play, but to catch up is likely to be very difficult. Bruges is clearly better positioned. With second place and four fewer than the championship leader, the title defense is quite possible. Overall, in the duel of old rivals between Anderlecht and Bruges, we would rather predict the success of the visitors. It is clear that both teams donate but nothing. Also for Anderlecht it is still about a lot. Only the top five teams in the championship round qualify for international competition. 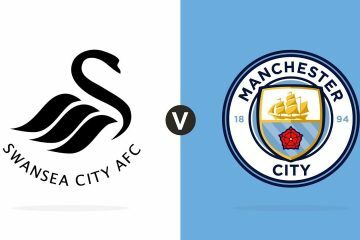 If the title is not taken, then it should be at least a place in the Europa League and maybe even something in the direction of the premier class. The bookmakers expect an open game with slight benefits for the guests. In the match between Anderlecht and Bruges lower odds are offered on an away win, although these are in the range of well over 2.00. The kick-off for the second round of the Belgian Jupiler Pro League championship between RSC Anderlecht and FC Bruges at the Stade Constant Vanden Stock will take place on 04.04.2019 at 20:30. 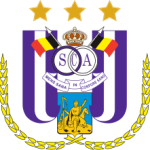 The RSC Anderlecht currently no longer has the quality that meets higher standards. This applies above all internationally, but also in the Belgian league the team of Fred Rutten is following the music. This is of course because year after year, many top performers leave the club. The talent factory can not deliver every year. With Yari Verschaeren, however, a 17-year-old has become a regular player again, but who can not significantly influence the game yet. So we can assume that this year again with the championship will be nothing. 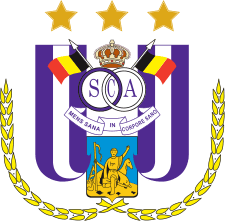 After all, there has been only one defeat for Anderlecht in the last seven games and that is why in the match between Anderlecht and Bruges the odds for an away win are not the first choice. It is clear that the record champion must deliver. Right now, the primary goal must be to catch second place. The deficit of five points on the Bruges could be significantly reduced with a home win on Thursday. But that will not work if Anderlecht are playing as they did last weekend in Genk. There the goal was to shorten the gap to the leader. In this six-point game, the RSC but went under. The game was balanced, but numerous individual mistakes led to a 0-3 defeat. Until Thursday, it was the primary task of Fred Rutten to rebuild his team. After all, self-criticism was sufficient. Center-back Kara, for example, makes it clear that you can draw his own conclusions from a defeat to play better in the next match. This will be bitterly needed against Bruges, because otherwise the skins may also swim towards the premier class at an early stage. Coach Fred Rutten has to give up injured Albert Sambi Lokonga, Zakaria Bakkali and Landry Dimata on Thursday. Otherwise, all players should be operational. Brugge coach Ivan Leko is currently fighting on two fronts. The master coach does his best to outdo the KRC Gent at the top of the table and defend the title in the Belgian league. On the other hand, he is in tough negotiations with the club bosses regarding an extension of his expiring contract. Currently, however, the signs point to a separation. The Croat has formed a team that is quite strong and still capable of development. Now he wants to be rewarded for his merits. Before the playoffs Brugge was in pretty good shape. At national level, there has been only one defeat in the last nine games. In between, however, came the still in the Europa League against Red Bull Salzburg. Overall, the results give encouragement that Bruges can once again approach Genk. From the momentum, Anderlecht and Bruges are more in favor of predicting an away win. Ivan Leko’s team also gave a concentrated performance against KAA Gent last weekend. The game was basically decided after 25 minutes. Ruud Vormer had already scored the 1-0 when a Ghent player was sent off for a video check. In excess, Bruges needed only a minute to mark the 2-0 by Clinton Mana. Hans Vanaken scored after one hour the 3-0 final score. Ghent could not have complained about a 0: 5 or 0: 6. What this victory with more than one hour superior number is worth, will probably show up on Thursday in Brussels. We assume that Ivan Leko will hardly make any changes to his starting team. Clinton Mana, who is actually full-back, is again expected in the center of defense. So Sofyan Amrabat will probably only be the bank again. Injured Ivan Leko will only have to do without compatriot Matej Mitrovic, who is out of action with an ankle blister. The paths of the old rivals RSC Anderlecht and FC Brugge have crossed 138 times to date. In a direct comparison, Anderlecht was able to defend with 55:41 victories more often. 42 duels ended in a draw. If two teams meet on equal terms, then there are no big series. Anderlecht are still waiting for a win against Bruges this season. In the regular season, the team of Ivan Leko won at home first with 2: 1. The return leg four weeks ago in Brussels ended with a 2-2 draw. Wesley and Thibaut Vlietinck met for Bruges. Yannick Bolasie was twice as successful for Anderlecht. It is not an easy task to make the right choice in a duel between Anderlecht and Bruges. Both clubs scored relatively well in the last few weeks. Anderlecht lost just one of the last seven games, Bruges has conceded at national level in the last nine games even one defeat. We would not be surprised if the two teams split up like last time in the regular season. But perhaps more interesting are bets on over the top. Three or more goals have been scored in the last seven out of ten games involving at least one of these two teams. ↪ Anderlecht has conceded only one defeat in the last seven games. ↪ National Bruges have suffered only one loss in the last nine games. 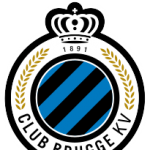 ↪ In the regular season Brugge won four out of six possible points against Anderlecht. In addition, in the last three matches between these three clubs always fell at least three goals. This means that in the duel between Anderlecht and Bruges we will more closely inspect the odds on over goals (+2.5). These rates are in the range of 1.80. The value we can see in it and would therefore bet on three or more goals.